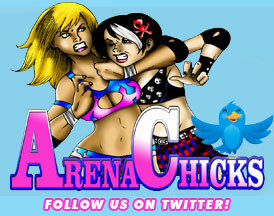 ArenaChicks.com » Blog Archive » Celebrate Independence Day with the ArenaChicks! Celebrate Independence Day with the ArenaChicks! 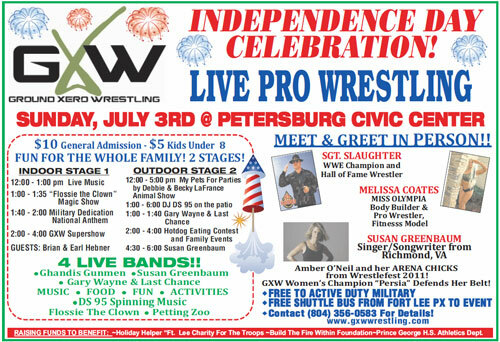 The ArenaChicks head to Petersburg, VA for a HUGE Independence Day celebration with Ground Xero Wrestling! Don’t miss this exciting day of festivities including WWE Hall of Famer, Sgt. Slaughter! Plus live music and more! Visit GXW Wrestling for more info.